In 2016, the Zero Energy Ready Home team launched a new consumer video, “The Home of the Future…Today.” Now live on the Tour of Zero home page and also available on YouTube, the short video helps consumers learn why leading experts would choose a Zero Energy Ready Home for themselves based on seven essential systems. The Tour of Zero, the virtual showcase for the best of Zero Energy Ready Homes, features over 120 home profiles from builders across the country. Visitors are able to tour certified homes in every major U.S. climate zone and can view images of the home’s exterior, interior and technical solutions (in that order). 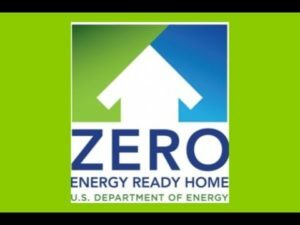 This entry was posted in Green Building, Nebraska / Midwest News, NewsBlog and tagged Department of Energy, The Tour of Zero, Zero Energy Ready Homes on March 17, 2017 by Helen Deffenbacher.